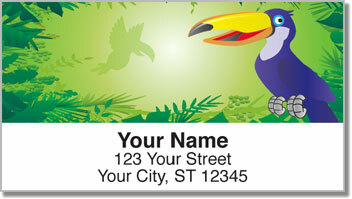 Have you heard what toucans do before they mate? Why, play a game of catch, of course! That's right! The male and female toss tasty berries back and forth, from one bulbous beak to the other. 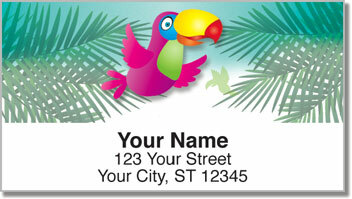 It's unlike any other avian mating behavior we know of, so we thought we'd pass it along, if you can forgive the pun. 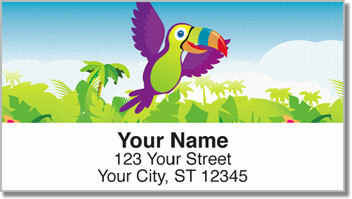 Now you can give your outgoing mail a toucan tune up when you choose these delightful Totally Toucan Address Labels from CheckAdvantage. 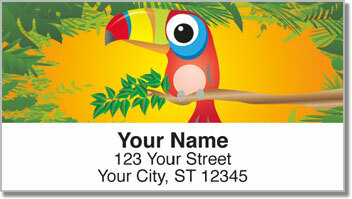 We also offer this original design as a set of matching personal checks. Make them yours today!